Casey Kotchman, his hands in his lap, waits patiently as his plane lands in Seattle. The Emerald City is particularly resonant today, the horizon shimmering blue in the Pacific Northwest as the chill of winter bites at the coastline. But there's still that sparkle, that tiny gleam that you can only see if you're looking for it. It's the hope embodied by the entire city of Seattle. It's the hope of a World Series team. As the Seahawks sputter to a losing record, and the NFL continues yet again into the playoffs without representation from the rainy city, Seattle isn't shouting praise for their athletic prowess from the top of the Space Needle. As Jack Zduriencik is informed that Kotchman has landed, he knows that it will all change in a matter of months. Safeco Field has never been the best ballpark in the majors. Right-handed hitters hate going there, and since the Kingdome's closing have the Mariners been the same? Once feared were Seattle's Ken Griffey Jr., Alex Rodriguez, and Randy Johnson; all at the time burgeoning talents looking to bellhop on their next big contract. They were merely biding their time in the Kingdome, performing at the highest level to be recognized as top free agents. The Mariners of today feature Felix Hernandez on the mound, and are led by Ichiro Suzuki and Franklin Gutierrez at the plate. While 'Guti', as he has affectionately been dubbed by Seattle fans, is about to announce his signing of a multi-year extension, he is by no means Alex Rodriguez. And while hit king Ichiro racks up the base knocks year in and year out, he does not hold much of a candle to vintage Junior. So you may ask what Mariner fans have to be excited about this year, a valid question by all means. They lack the star power; really, they lack any power, having replaced 31-HR hitter Russell Branyan with slick defender Casey Kotchman and perennial 20-HR bet Adrian Beltre with the on-base wizard Chone Figgins to be looked at as a team that can muscle their way into the playoffs. You also may be able to compare position-by-position, the Mariners to the World Champion Yankees, and it obviously doesn't add up. Jose Lopez over Robinson Cano...ridiculous, right? Would you ever go with closer David Aardsma over lights out Mariano Rivera? Of course not. It looks preposterous, on paper, to think that this pack of mostly non-household names can survive the Red Sox or the Yankees. But then, the games aren't played on paper. The games are played in a ballpark, where anything can happen. Any ball can fall any which way. Any team can exploit the resources they have at hand. And so, we take a step back and look at Safeco Field. With its large dimensions and slightly colder climate, what could the Mariners do to put themselves in a position to dominate at least 81 of their games played? Jack Zduriencik knows, and it all started back in the offseason of 2008 when he traded JJ Putz for a few no name players and payroll relief. In the period of time since, Putz has blown up and been injured, finally agreeing to a small one year pact with the White Sox laden with incentives. Once one of the top firemen in the game, a guy who could match the likes of Jonathan Papelbon and Joe Nathan pitch for pitch, he now hopes to pitch quality MLB relief without getting injured. On the other side of the spectrum, the Mariners got one of the faces of their franchise in the deal, Franklin Gutierrez, along with Endy Chavez who was unfortunately injured (probably career ending), and Mike Carp who was projected to be the Mariners first sacker until the Kotchman deal. Expensive Raul Ibanez was also let go, and although he went to the Phillies and played an instrumental role on their World Series roster, his style of play did not fit the Mariner way. The Mariner way may be the best all around way. The concepts Zduriencik is applying were even discussed in the book Moneyball by Michael Lewis, but if you were like any other baseball fan, then all you drew from the book was the revelation that On Base and Slugging Percentage is good. Zduriencik is making sure to turn over roster spots to talented, younger players with a knack for running and playing defense. He has already made improvements to a defense that made most other Major League clubs shake their heads in disappointment as hits were snatched out of thin air, bringing in Chone Figgins, Casey Kotchman, and huge run preventer Cliff Lee. Lee was had at an extremely low price, and he is one of the game's top hurlers. He and Felix Hernandez should form the best 1-2 combo in baseball. The large Safeco Field will host uber defense as the Mariners suit up for the 2010 season. And the questions are posed again. Can the Mariners go dollar-for-dollar with the Yankees or Red Sox on any free agent? 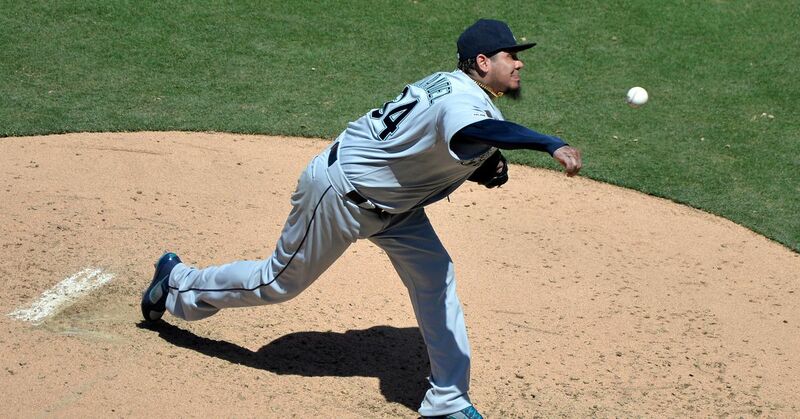 Can this Seattle team go in and hang a 10-spot on the board against CC Sabathia? Will there be a mashing 3-4 combo that hits 40 HRs each, emulating Rodriguez-Griffey Jr. of the magical Mariner 90's? The answer to all of these questions is most likely no. But that's not their style of play. The Mariners don't look for a grand slam everytime the bases are loaded, or hope for the game winning solo shot in high scoring extra innings. The Mariners are a different team than that. Some say it's a National League style of play, but excuse me if I just saw the Phillies piggyback on monstrous lineup power to represent the National League in the World Series. This is not a National League style of play. This is a new style of play. Jack Zduriencik notices a wry grin creeping across his face as he learns that Kotchman passed his physical, and he realizes that another piece of the puzzle has fallen right into place. Building around youth, speed, and defense. Yeah, that's Zduriencik's style of play.